TinyUmbrella is one of the most powerful tools we have at our disposal. It was a tool that we once used for downgrading iOS firmware to an earlier version, mainly for the purpose of installing a jailbreak. TinyUmbrella has many uses other than downloading Cydia. TinyUmbrella can be used for fixing iOS devices stuck in Recovery mode, fixing iTunes Error 3194 and more. The good news is, TinyUmbrella works on Mac OS and on Windows 7 through 10. Do make sure that you are running an up to date version of Java on your computer before you start, TinyUmbrella needs it to work. Whenever you update your iPhone or iPad, a small piece of data is saved onto your device. This is the SHSH blob, and it contains information that relates to the firmware and your specific device. TinyUmbrella is used to save these SHSH blobs into an external file. Because Apple only gives you a week to downgrade your device after you update it and, once that time is up, those SHSH blobs are wiped from your device. No SHSH blob, No Downgrade. By saving your blobs, you can then use TinyUmbrella to turn them into custom firmware for the relevant iOS version and, using iTunes, allows you to downgrade. Cool, isn’t it? Let’s move on. While it is easy to get your device into recovery mode, it isn’t always easy to get out if it. TinyUmbrella can help you without you having to restore your device and lose everything. Check out the link below for more information. Most people have found TinyUmbrella to work smoothly, but some have found a problem with it. 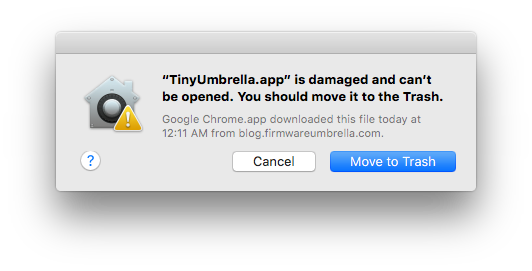 Users on Mac OS have found that either TinyUmbrella won’t open or, if it does, it just crashes immediately. Usually, there are error messages – one says “TinyUmbrella.app is Damaged” and another will ask you to sign in and this will require your Apple ID. Don’t worry because these are simple to fix. The problem lies in the app security certificate; it has most likely expired and this is down to the DRM, not anything you have done. Mac OS runs two processes for this – root and user. Both are killed off with this one command. SHSH stands for Secure Signature Hash. It is a unique key, just a tiny bit of data that holds info about your firmware and device. They are the only way to downgrade your device outside of the time period that Apple allows – usually a week after a firmware is released. What Is TinyUmbrella Used For? This useful tool is used for several purposes – saving SHSH blobs, turning them into custom IPSW files, fixing recovery mode and much more besides. It’s main purpose though is to help you downgrade your iPhone or iPad. I Get a “You Are Too Late” Message – why? 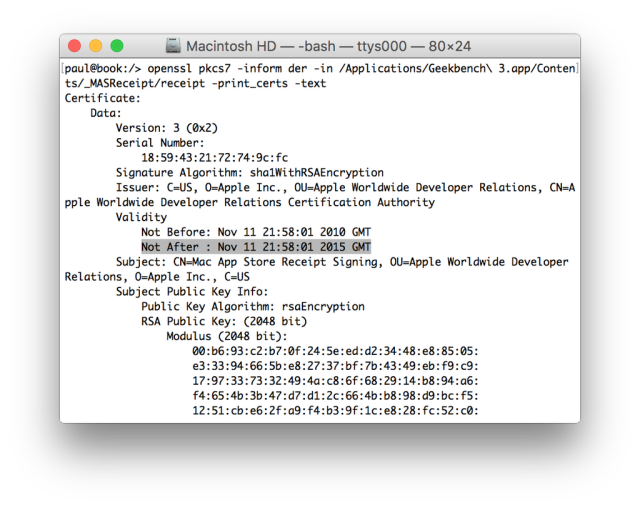 Two reasons – one, you may be trying to save SHSH blobs for a firmware that is no longer being signed by Apple and, two, you may not have enabled the Request SHSH from Cydia option. Check and enable it now. Why Can’t I See My SHSH Blobs in Cydia? I Am Running iOS x.x.x on My iPhone – Can I Restore all My Other iOS Devices to That Version? You must save SHSH blobs while they are still being signed by Apple; if you don’t then you cannot restore to that firmware. Get into the habit of using TinyUmbrella every single time you update your device to use the blobs on all devices. Why Does TinyUmbrella Need Java? TinyUmbrella is written in Java and can only work with Java; it is one of the most straightforward programming languages for applications that are more complicated and it will run on multiple platforms. Any one of them. All three of these are interchangeable – a blob holds the data in the SHSH, the SHSH is the data sequence that represents a hash of all the files in your firmware file and, collectively, when Apple signs the firmware, they are known as a signature. Why Does TinyUmbrella Require Admin Privileges? For two reasons, both of which require admin privileges. The first is so that the app can modify the Mac or Hosts file and second, it needs Port 80 on your Mac or PC for listening. Nothing more than a simple file that maps hostnames to the relevant IP addresses. TinyUmbrella Can’t Listen on Port 80 Or It Says it Needs a PID File Killing off. What Do I Do? Provided you enabled the option for Request SHSH from Cydia in Tiny Umbrella, all SHSH requests will be sent via Cydia and all saved blobs are in Cydia too. However, due to security issues, you cannot force Cydia to save older SHSH blobs. I Get a 255 Error Showing in console.app on my Mac – What Do I Do? TinyUmbrella app is one of the most useful tools ever, and you should be using it every time you update your iOS device firmware. Check out all the other links to see what other cool stuff TinyUmbrella can do and follow the developers on Facebook for all the latest app updates. go ahead, this version supports your iOS release. Let us know if you face any issues.